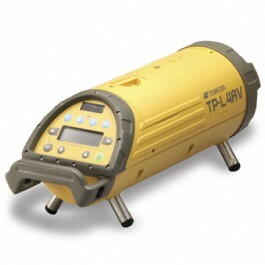 Topcon’s TP-L4AV has all of the advanced features of Topcon’s TP-L4GV in a bright, perfectly round red beam. SmartGrade® for super-fast, precise grade alignment. RC-200 radio remote for complete control of all TP-L4AV functions from up to 660 feet away.